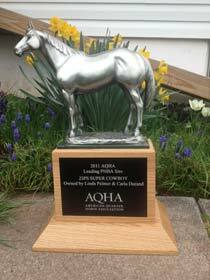 We are proud to be the home of AQHA / PHBA / APHA stallion, Zips Super Cowboy, PHBA World Champion Stallion and AQHA Superior Halter Horse. 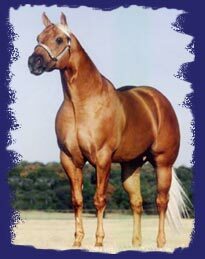 He is sired by the great AQHA stallion, Beyond Reality, AQHA World Champion, AQHA Superior Halter. 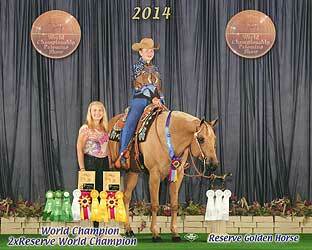 Cowboy is out of Zips Paloma, 4 Time PHBA World Champion, AQHYA Reserve World Champion and AQHA Superior Halter. 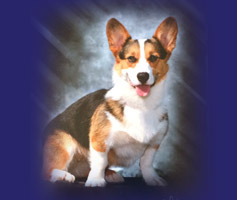 Cowboy is a World Champion halter and performance sire. He has sired halter and performance point earners and futurity winners as well as NSBA money earners. Cowboy sired the 2005 3 time IBHA WORLD CHAMPION mare, Zips Fancy Fanny. This lovely mare came back to win a World Championship again in 2008! 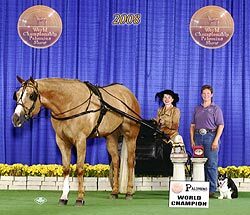 Cowboy also sired the 2008 PHBA WORLD CHAMPION Junior Pleasure Driving Horse, Gold Credentials. 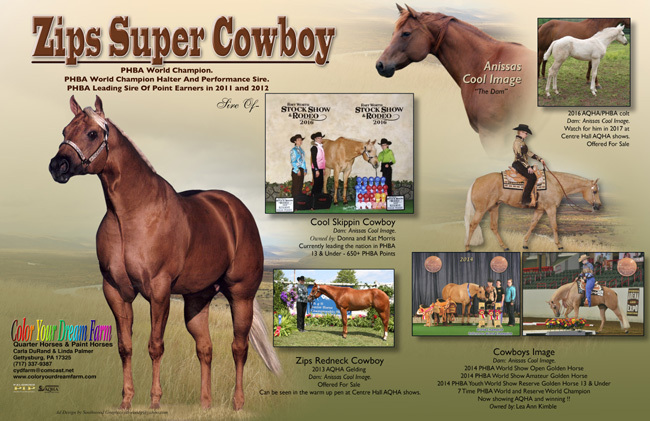 Zips Super Cowboy does it again – 2012 PHBA Leading Sire of Point Earners !!! Zips Super Cowboy is the 2011 PHBA Leading Sire of Point Earners with only 4 foals to show!! 2014 PHBA World Show was a “Super” show !!! Zips Super Cowboy is the sire of Cowboys Image who under the guidance of Lea Ann Kimble took both saddles home for the Open and Amateur Golden Horse! 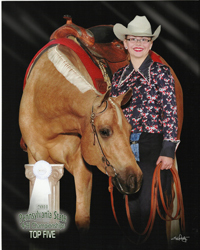 Her daughter, Kayla Kimble, showed in the PHBA Youth World Show and earned the Reserve Golden Horse in 13 & Under. 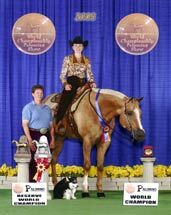 Cowboys Image with Lea Ann Kimble is the 2014 World Champion Amateur Performance Gelding, Reserve World Champion Amateur Horsemanship, and Reserve World Champion Amateur Stake Race. Four time PHBA #1 Amateur Stock Type Horse in the Nation - 2008, 2009, & 2011 and 2012 !!! 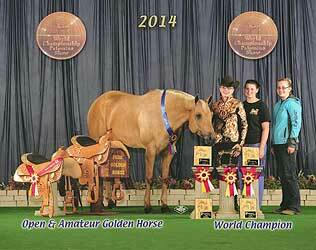 Click here to view the article in Palomino Horses Magazine about this incredible team! 2009 #1 PHBA Youth 5-9 Walk/Trot Stock Type with Kayla Marie Kimble! View more of their outstanding achievements on our winners page. 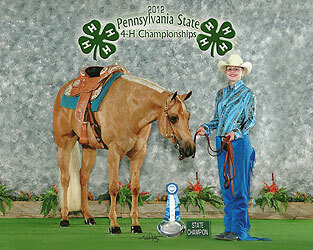 Kayla Marie Kimble and Cowboys Image are the 2011 PHBA Reserve High Point Youth 13 & Under Team! Be sure to check out our babies page and our new customers' babies page to see the newest arrivals and the older foals by Zips Super Cowboy. 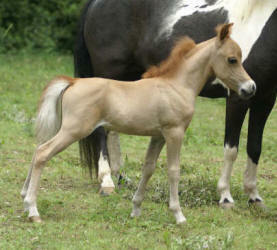 We have just added several new horse pictures of our sale horses and also our mares and babies. Zips Super Cowboy is the 2011 PHBA Leading Sire of Point Earners with only 4 foals to show !! He is also the Palomino Incentive Program's highest earning Stallion for 2011!!! 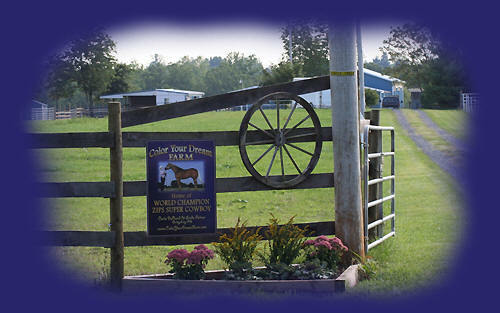 Color Your Dream Farm became more than just a dream in October of 1997 with the purchase of 36 acres in historic Gettysburg, Pennsylvania. 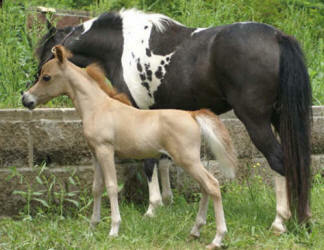 We had been breeding APHA halter and performance horses using stallions that improved the traits of our mares. We were determined to find a quality stallion that we could use for our own mares as well as outside mares. We had a very strict list of qualifications that a prospective stallion had to meet. The purchase of Zips Super Cowboy in October of 2003 made the farm complete. Cowboy is what we were looking for: a palomino, a world champion with an impeccable pedigree and standing at least 16 hands. 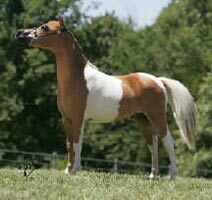 Since Cowboy is a Quarter Horse, we purchased some outstanding AQHA mares to add to the high quality APHA mares already here. We love showing in Halter classes, but want to produce halter horses that will continue their careers in the performance arena. 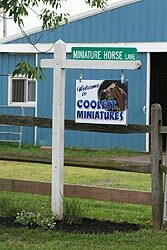 We are proud to announce the arrival of Coolest Miniatures, a tiny division of Color Your Dream Farm. 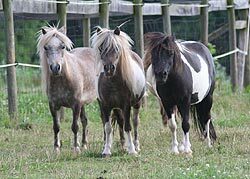 In the spring of 2007, Linda mentioned her interest in breeding miniature horses. So, with the purchase of a couple of little minis that summer, the venture began. Throughout the year there was much to learn and mini accommodations to be built. By the end of the year the barn was complete and filled with several little quality mares. To make Coolest Miniatures complete, an AMHA World Top Three stallion was acquired. Ravenwood Spotacular Allusion is a fine example of the exquisite Arabian type in miniature. 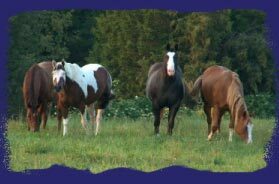 Please feel free to call and stop in to meet Allusion and all the little mares. 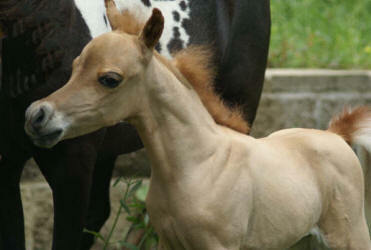 Click here to see pictures of Ravenwood Spotacular Allusion's first colt. 1 2 3 Wisteria Jazz Rhythm and Blues is owned by Glasses Farm in Europe. 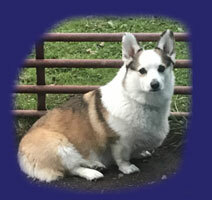 He is qualified for their "world Show" this fall ! !